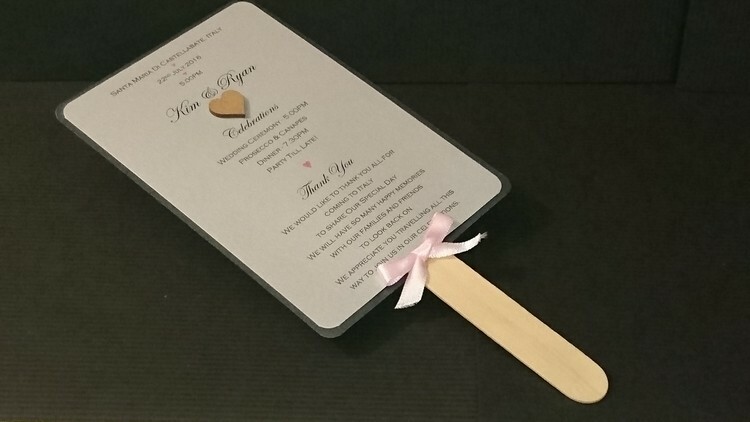 After spending a lot of time ensuring that your stationery reflects the style and theme of your Special Day why not continue this through to your reception venue. 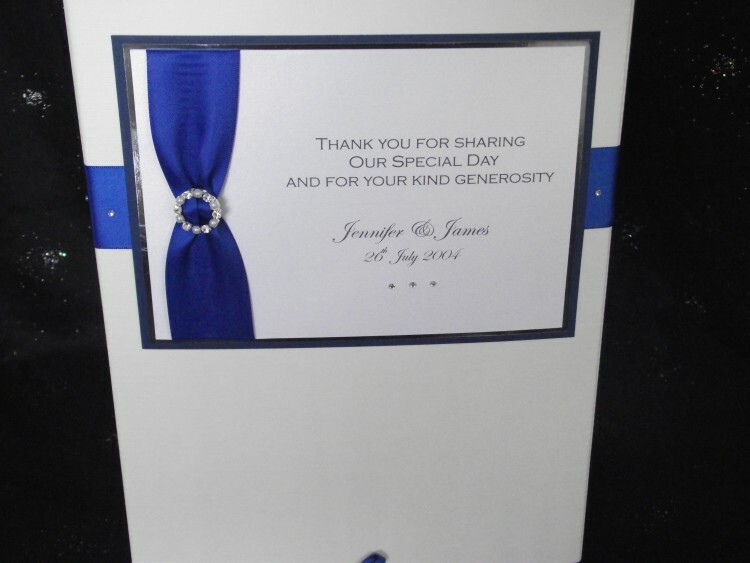 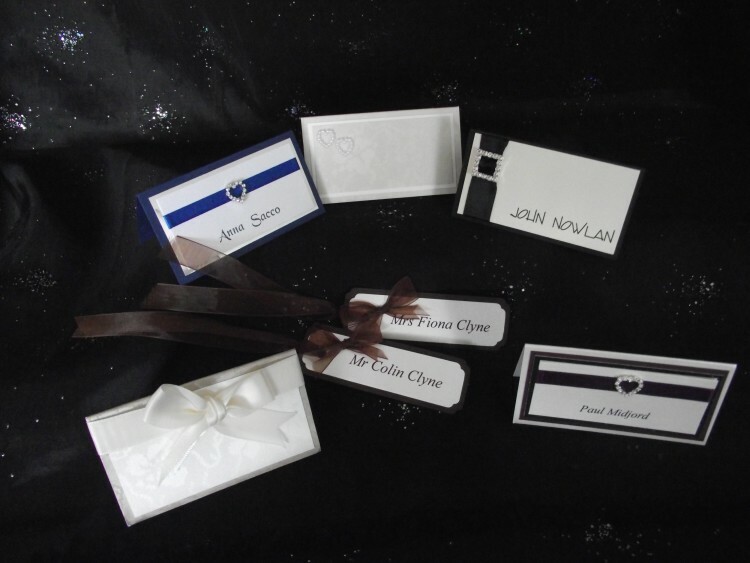 Table stationery is now playing an important part in setting the scene for your celebrations. 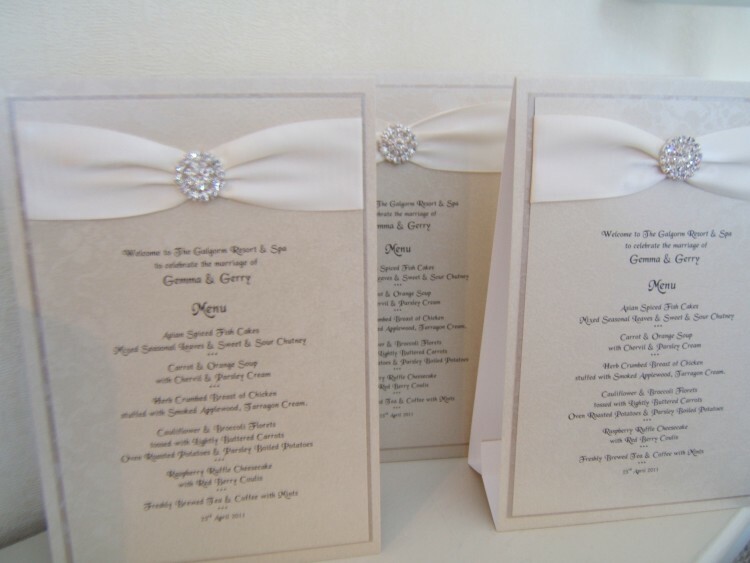 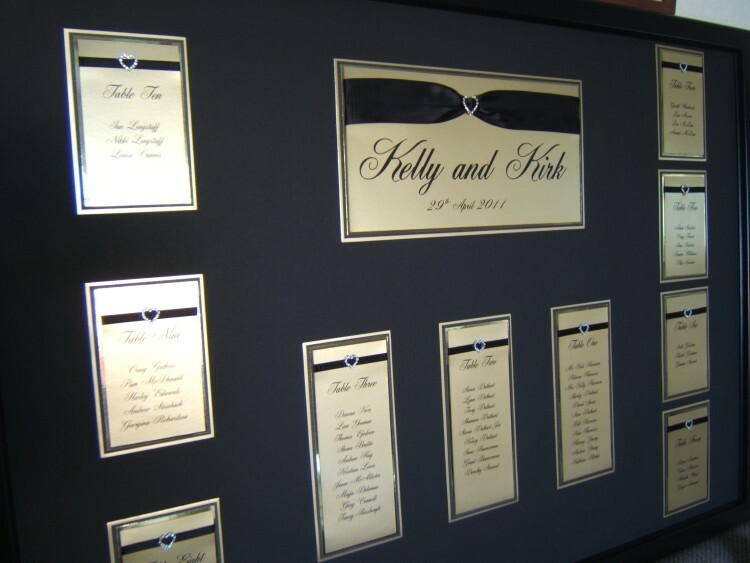 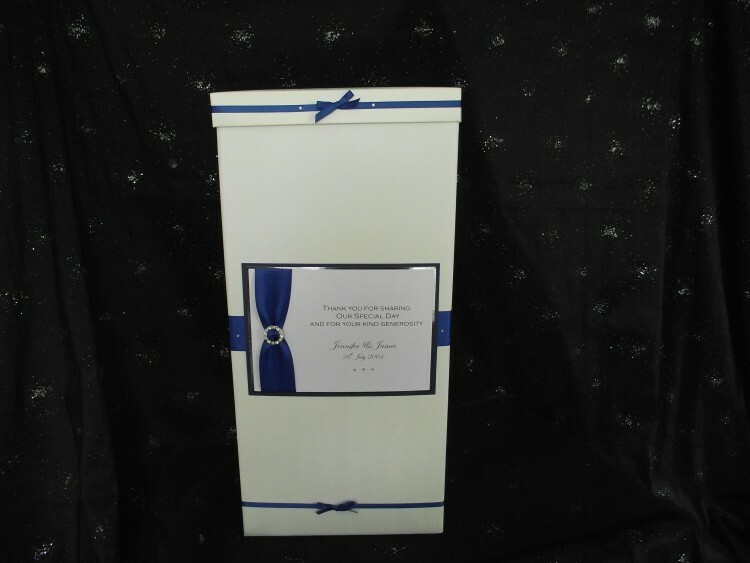 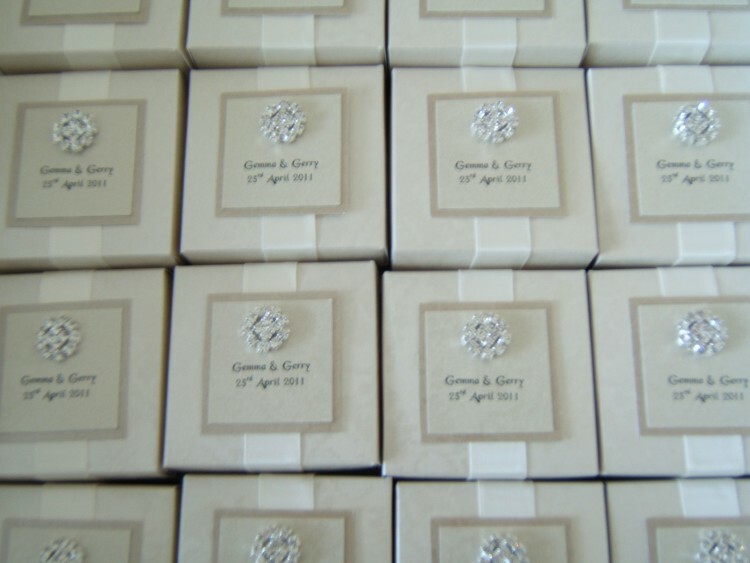 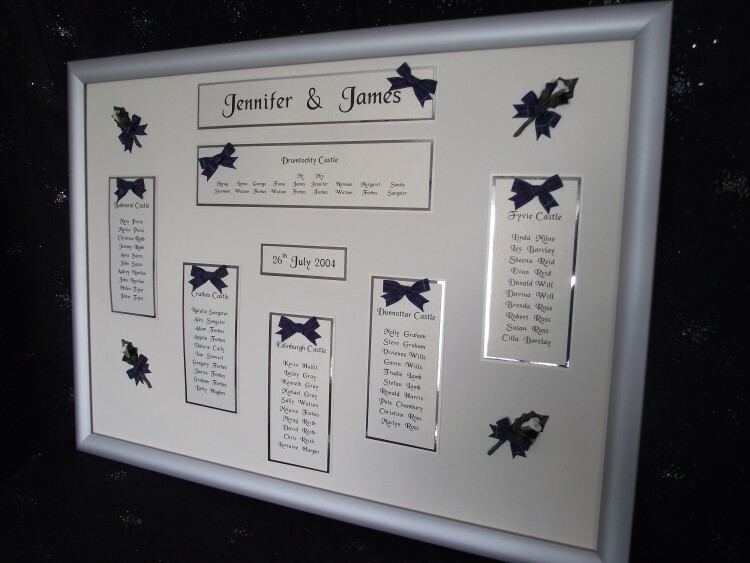 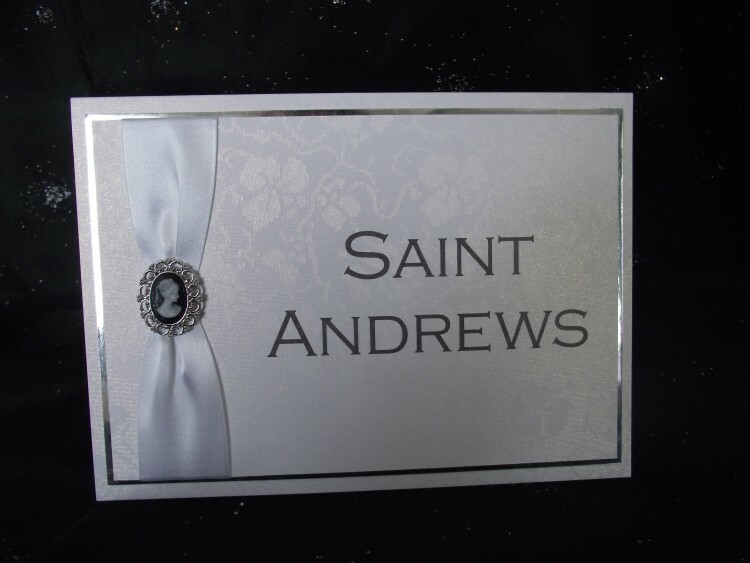 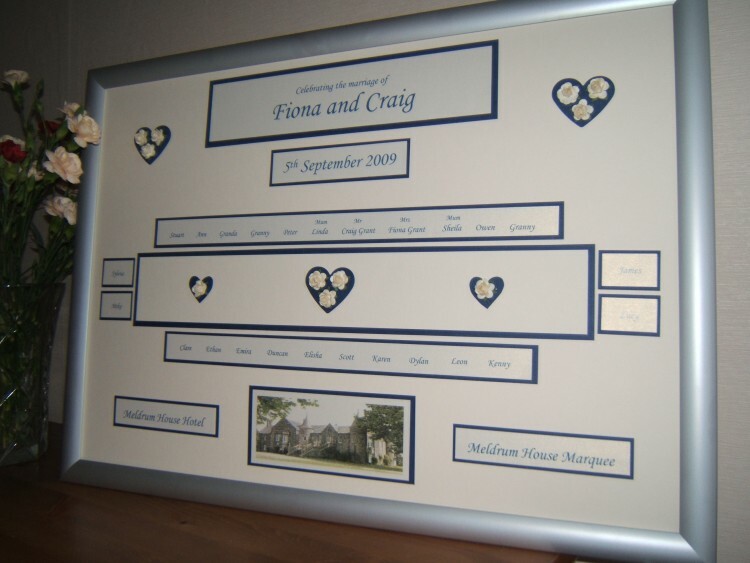 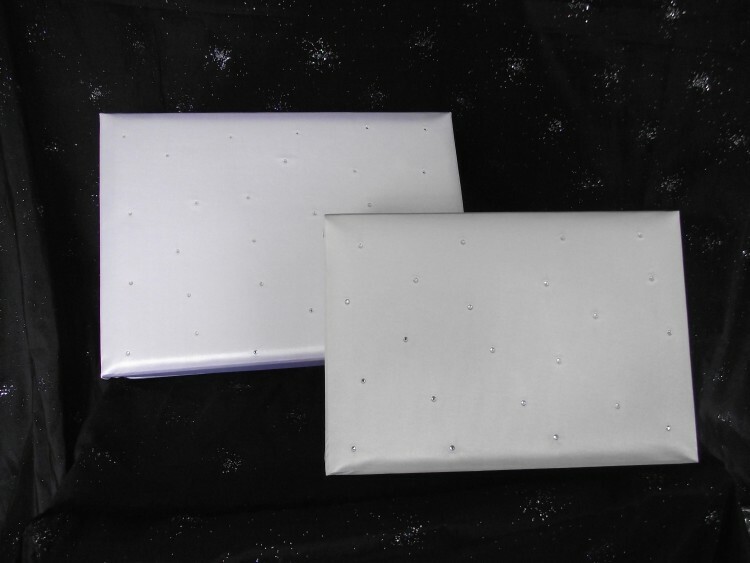 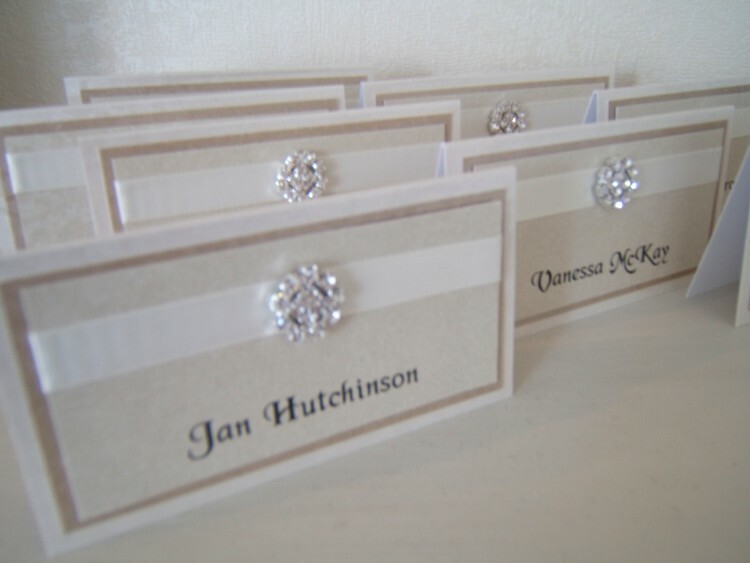 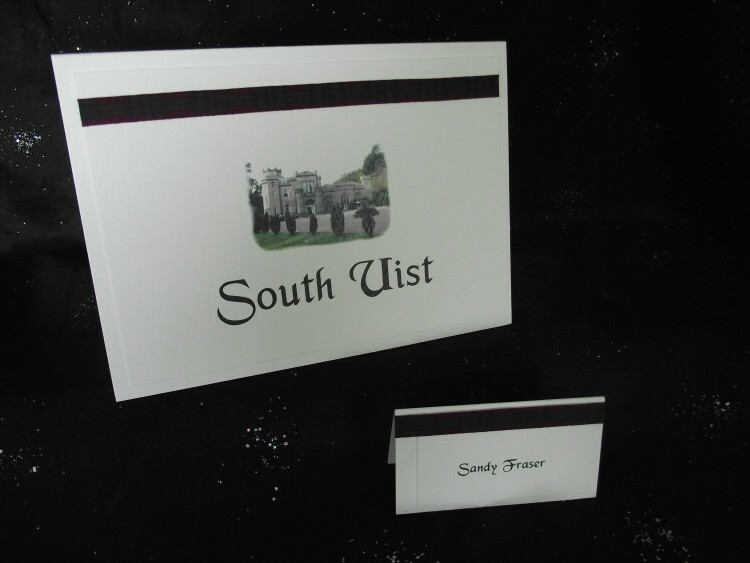 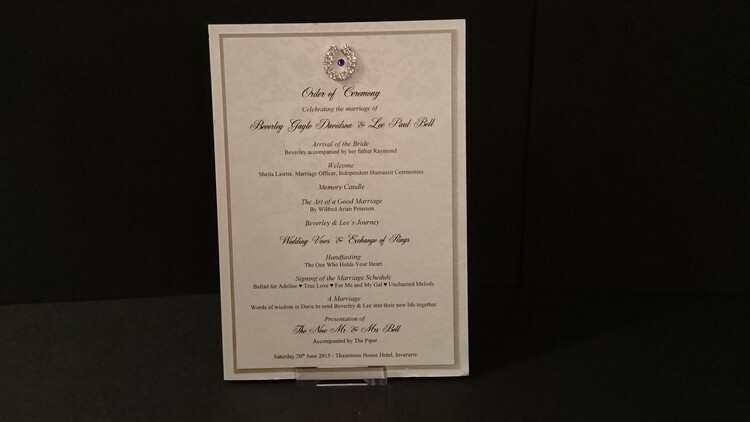 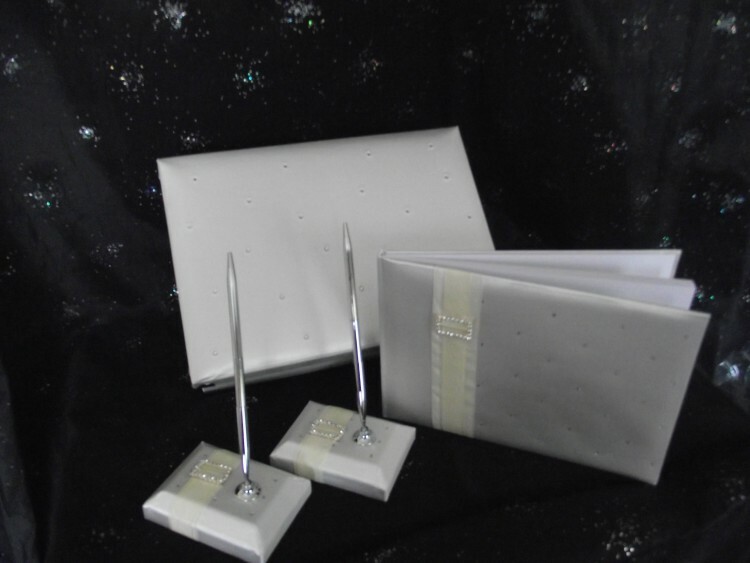 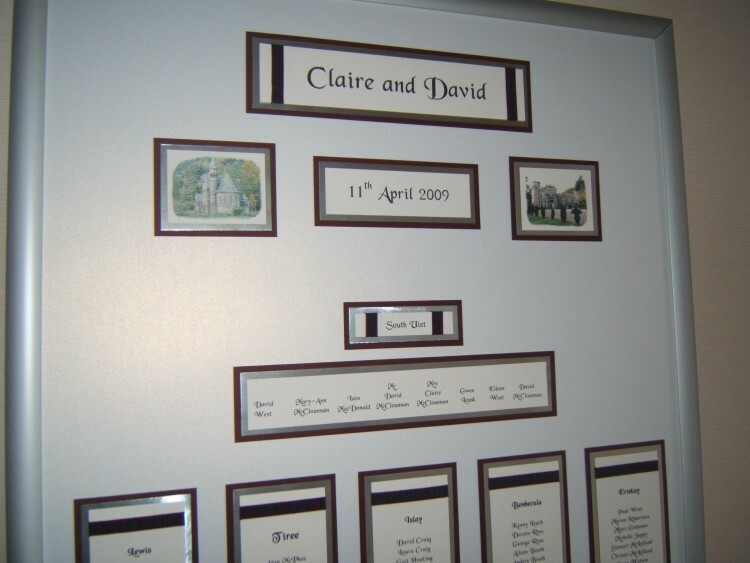 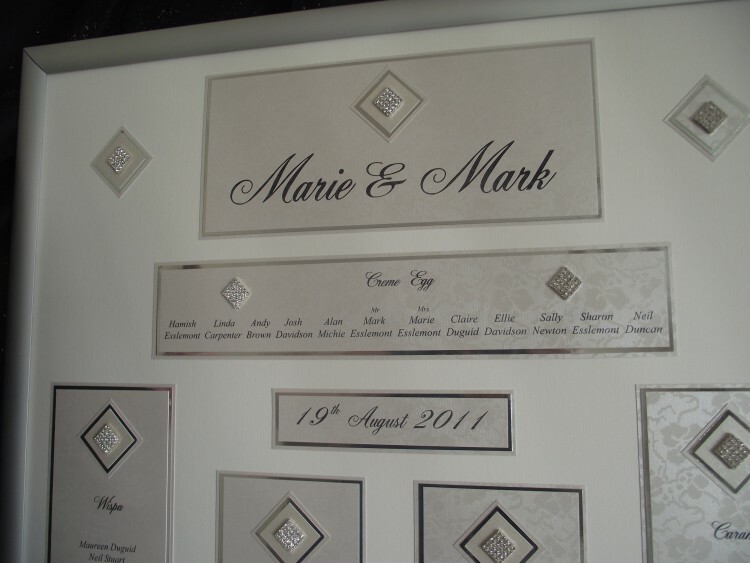 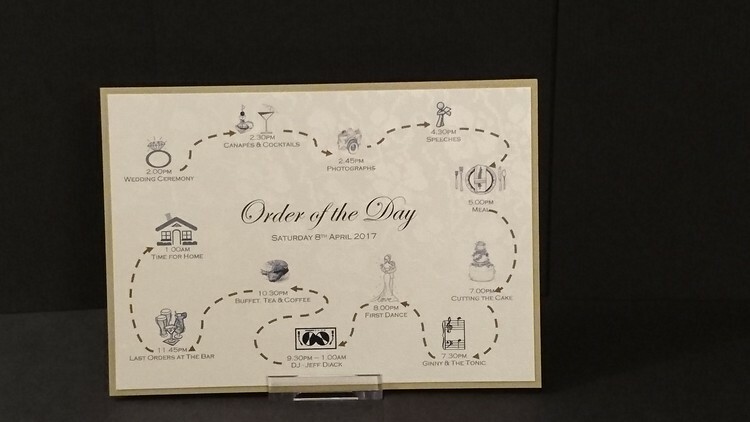 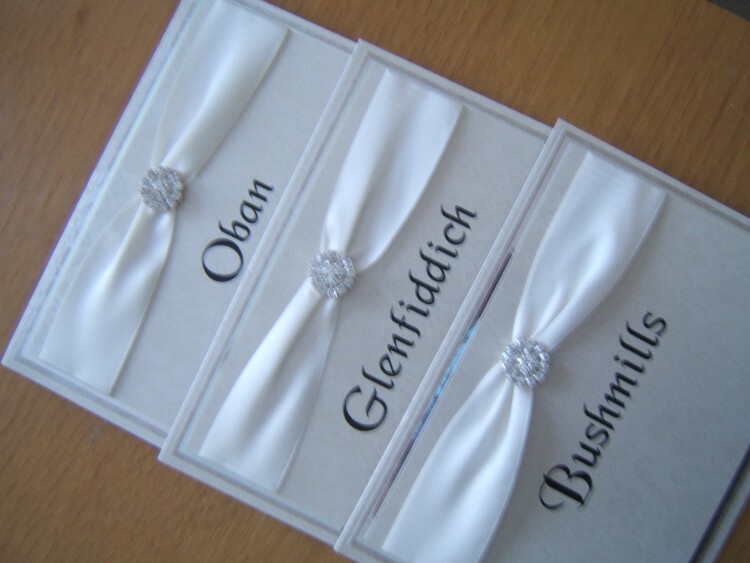 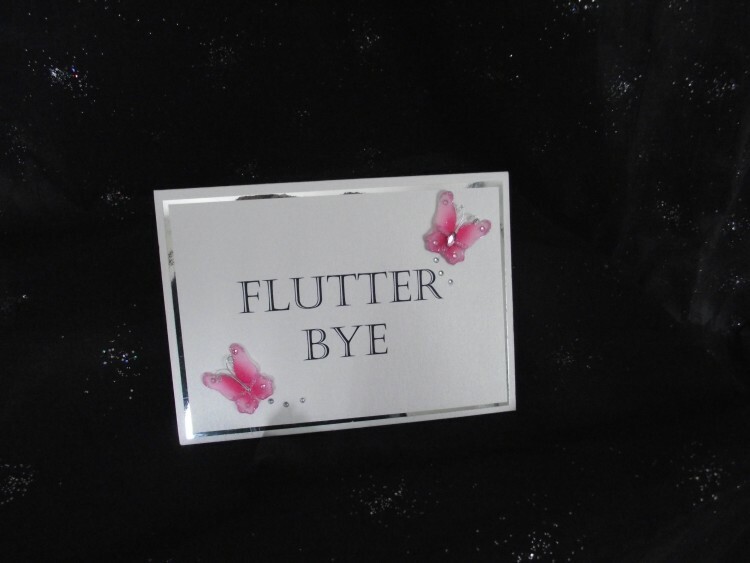 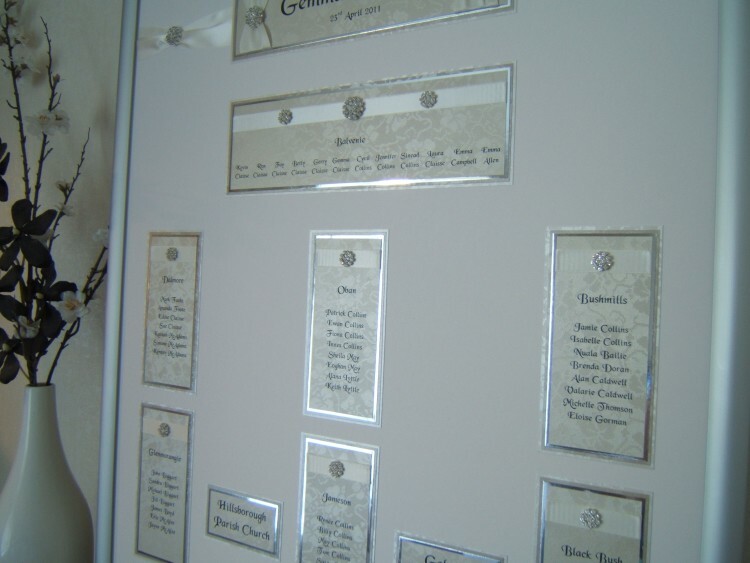 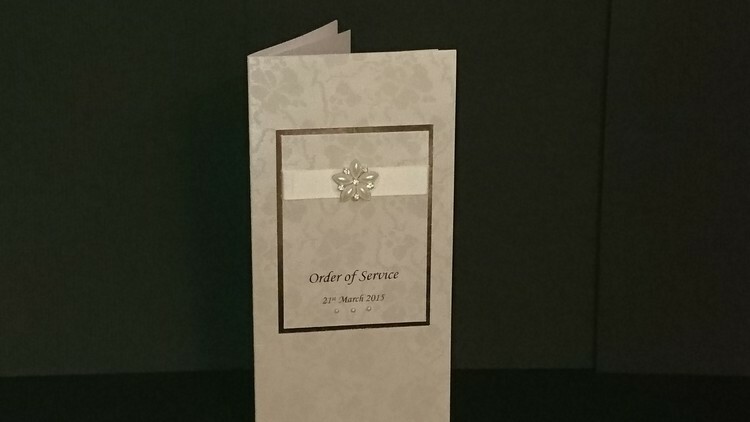 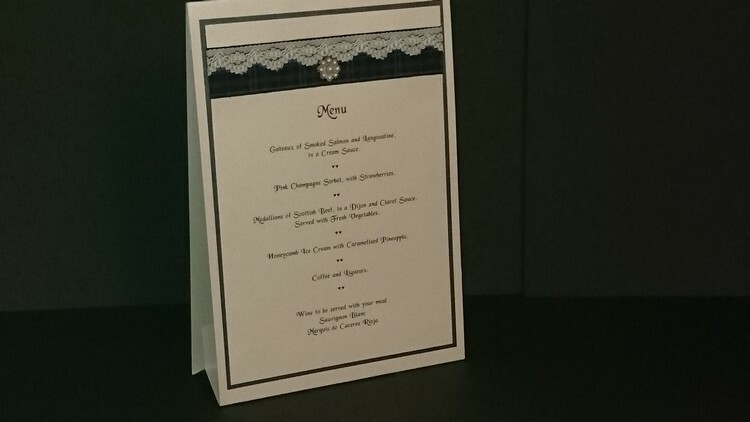 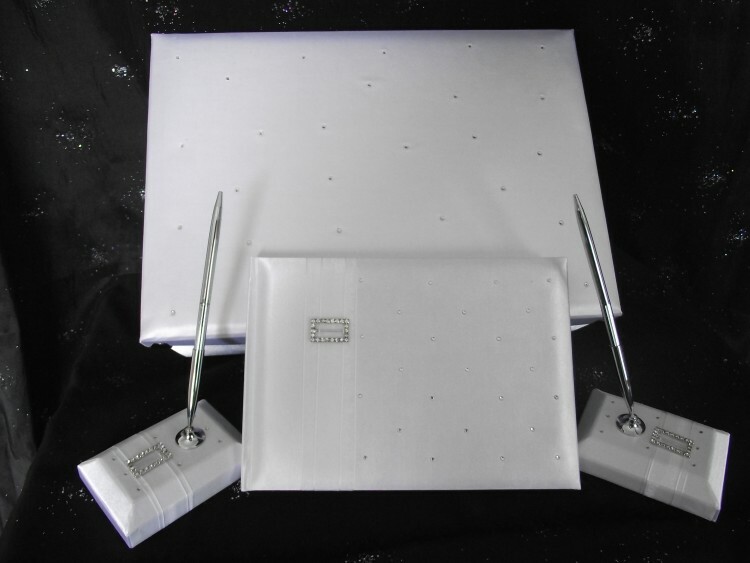 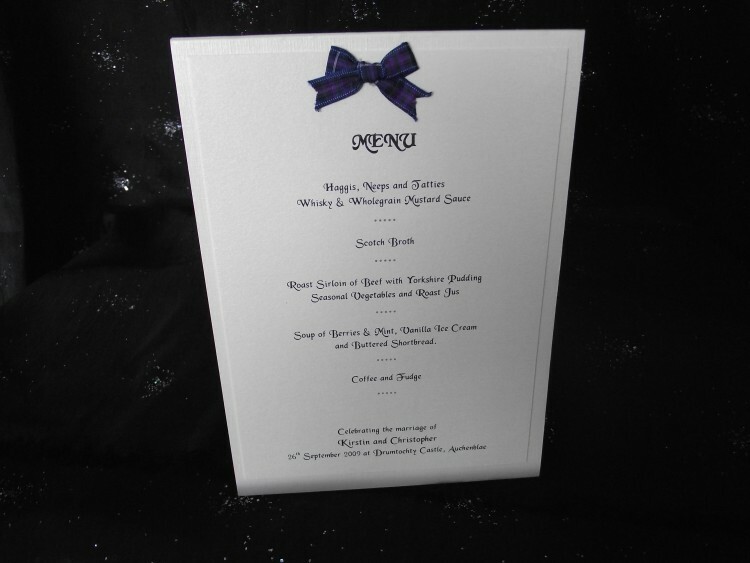 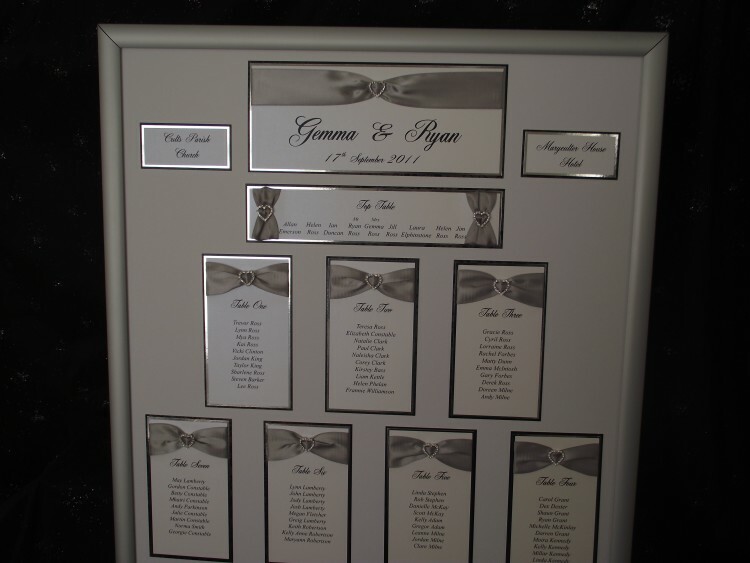 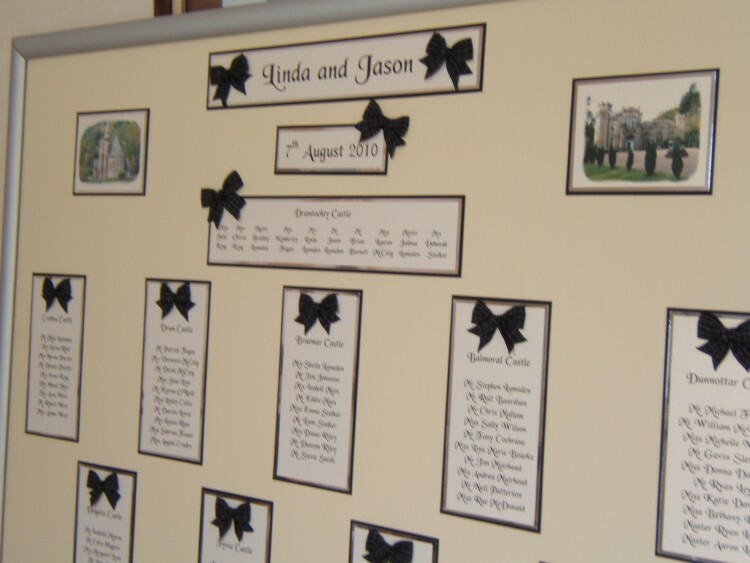 Place Cards, Menus, Table Names and Table Plan can all be co-ordinated to your stationery.Other items of Reception Accessories following the staionery theme include Guest Books, Keepsake Boxes, Favours and Postal Boxes for Congratulation Cards & Gifts. 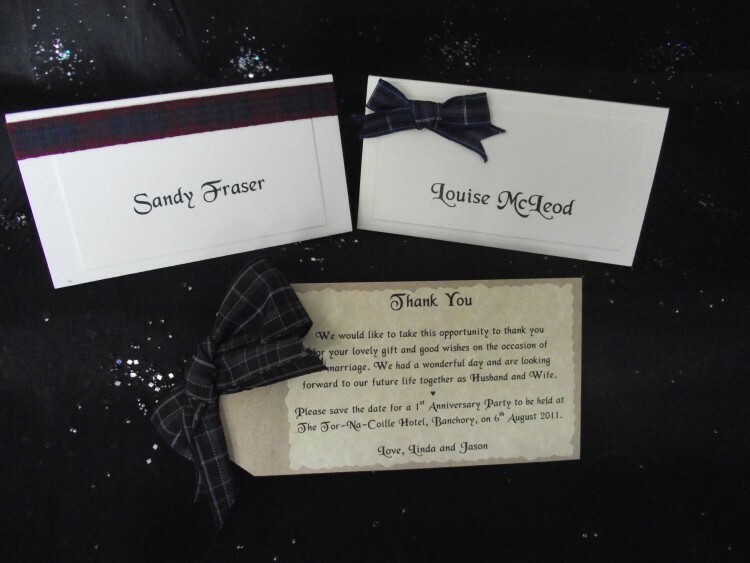 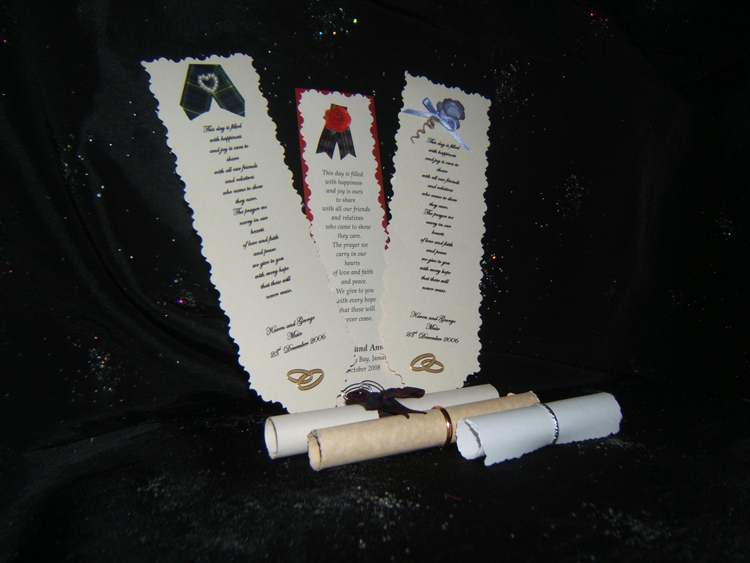 All of these may be co-ordinated to your stationery choice as seen below. 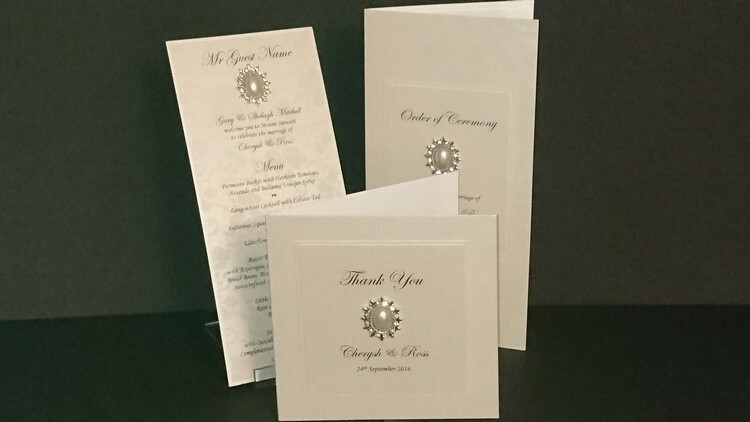 See Information page for details of cost.